I am a visual learner. Your lists and charts made translating the information into mental pictures easy for a visual learner. Wow! Clear, thorough, and pertinent information! Great combination. Thanks. Thank your for sending such a lovely book! This actually made the course interesting and I was able to focus and learn something. The colors in the book are fabulous! The information was very interesting too. Being a massage and bodywork instructor I always stress heavily upon my students the importance of the lymphatic system, how it works, and the possible effects of massage strokes on the system. This course is an excellent concise and helpful resource to anyone in the field of bodywork and healthcare in understanding the general workings of the lymphatic system. Job well done! My motivation for taking this course was to learn MLD techniques to use on my spouse, who had just been diagnosed with plasmacitic b-cell lymphoma. The physician-in-charge advised MLD would be beneficial if used in conjunction with his curative chemo-therapy. With approximately a week of MLD, I have witnessed a definite reduction in the diameter of her ankles, even before the chemo-therapy has started. Either the Institutes instructions are superb or I am a gifted masseuse. It doesn't matter which. We are getting results. Ordered the physical course materials and was very pleased with the quality of product, packaging and layout of materials. The course content is clear and informative without being overly simplistic or excessivly involved. Great job. More than just a review of material learned at school, it amplified my knowledge and expanded my understanding. This course gave me a better understanding of how the lymphatic system works, the different types of edema, and when and where to refer clients for your help. Great references! A lot of good information for a small investment of time and money! This is an excellent course. It covers a good amount of the biological processes of Lymph. This course really makes me want to study manual Lymph Drainage after learning how incredibly important it is in the recovery of Cancer surgery/radiation. I found this course thorough and highly educational. The technical value of this course far surpassed the classes I had with instructors! Very excellent! 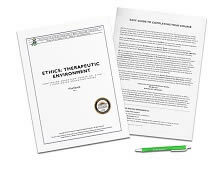 I found the course work very informative and interesting, as well as helpful in letting me know what is helpful or harmful for my clients with lymphatic edema. I am very interested in getting hands-on training and certification in Lymphatic Drainage so I can help my clients and be able to educate them. Thank you for having this course available. The information was very valuable to me. I have been practicing MLD as part of my job and found this course very informative and precise. Great course! Lots of very good information. Quiz followed along with information provided very well. Full of useful information. I know I have a lot more to learn about Edema, but this course is a wonderful introduction. clearly explained, concise info, good review. I've been a therapist for 20 years and this review was wonderful. I have experienced edema from both therapist and patient viewpoints and have enough training to have found this an easy course. Well laid out! This course may have directly helped a current client with cancer. I selected it knowing that I would be working with someone at risk and I was able to confidently give her information and advice about what to watch for distal to a radiation site and explain why a slight swelling needed professional attention. We both feel more at ease. As a massage therapist it is good to recognize when the tissue becomes in an acute or chronic stage for the client and what help they will need. Very direct and to the point. I enjoyed the course and will take others in the future. Thank you so much for the time spent to create the lesson as well as the test. Thank you for the insight as well. I am very pleased and more confident in working with clients with edema. This information was extremely helpful. The arrangement of the information is visually appealing and it is easy to locate important information, such as contraindications and treatments. The summary in table format (on p. 15), is also beneficial. Clear and easy to follow and understand. Practical knowledge that I can use every day. Love the Institute's courses! Outstanding information for anyone in the massage therapy profession! Wow! So concise, so informative and to the point. This information will be extremely helpful! Thank you! This course was very informative. The material was right to the point. Valuable info, especially in relation to special education necessary to treat clients with Edema and all the necessary precautions and counter indications. As a Licensed Massaged Therapist I use Lymph Drainage with Acupressure to meet the needs of my clients. There are many times when a Massage Therapist needs another technique to use to meet the needs of what the client has asked for. I have learned a lot more on what I can now add to my practice. Very concise and informative course. I would definitely like to order more continuing education courses in the future. Thank you! This was an excellent course. While I learned much of this information in massage school and unfortunately forgot some of it, this course was a great refresher class. I would recommend to all LMTs! Information was informative and well presented, diagrams and charts were helpful and good for future reference. Clear subject and discussion of material. The key vocabulary words were on target to help understand the course. Thank You! Although I started with a basic knowledge of Lymphadema, this course expanded my understanding of my role and need for further education. I am definitely going to take another course. This was all very interesting! Thank you for helping me continue my education. I found the course very informative and added to the current knowledge I have on the subject material. I liked it because its reasonably priced, easy to read, you can print for further studying and the web site is easy to follow. This course was very interesting. I had a hard time finding a course that was specific to facial massage, so thank you for putting this together. I will be recommending it to the people I work with. The course was interesting and I learned a great deal. Nice pictures and demonstrations in the book. Excellent. I learned a great deal and will be testing some of this on myself first and then I fully intend to start marketing it in my practice and using it as a treatment in its own right or a great add-on. 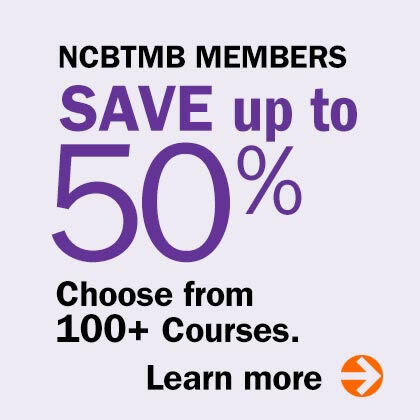 This is an excellent online course. It was just what I was looking for and it's usable practical information. It gives the practitioner something to add to her menu! Well done. A fantastic course - am already planning my long-term aromatherapy facial massage treatment! Cannot wait to implement this into my massage practice!! Great course would love to do more. This course was an enhancement to my daily practice as a therapist and aromatherapist. Thank you. Very interesting, especially for anyone using essential oils in their practice. Great program for those not only wanting to offer essential oil facials but for general knowledge of how the oils work and what they can be mix with and used for. Great course for aromatherapists and spa specialists. Very professionally presented. Staff were very friendly and helpful. I definitely will be back. I liked that there was a bibliography and resources in the back. This course provided a great refresher on the subject of Edema. I was very pleased with the information that was presented in the course. The course was very interesting and alerted me to my need for more training in this area. Thank you for the information presented. As a teacher the course is full of information relevant to students in theory & practice. This course was exceptionally well presented. thank you. This was great very informative and easy to follow . Very good, and as usuial with your institute, informative and valuable. Thank you! This has been very helpful. Keep up the good work...many thanks! 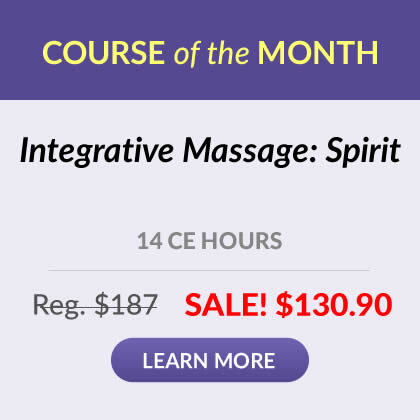 This is a course that all Massage Therapists should take! I like being able to do this type of study program. Thank you for doing this for us. This course was informative with new material and reconfirmed learned materials from previous teachings. Great basic course content and very pertient to my work. I enjoyed the content, and presentation. Thanks! It really got my brain working. Now I have a deeper understandin to help when I see it. It was very indepth info. I would not practice any of the modalities discussed until I took a hands-on course as treating this condition does require more expertise than I have. These articles did give me more insight on what to look for when treating my elderly clients. It is too bad that the courses that I am really interested in can not be offered online and accepted in Texas, but what I am taking online is still beneficial. This course was well written, clear, concise and to the point. I feel this was an excellent course, very informative. A lot of great information! Thank you for including an excellent bibliography and contact information for further training. I'm going to use some of the information today! The information was useful and pertinent to my practice. This makes me want to learn MLD to use in my practice. Thanks! The information given was very thorough. I learned a lot and it will definitely help me with the appropriate client. This was perfect. I was able to complete on my time. Very busy schedule. This was a great refresher for me. It is extremely relevant in my practice, and it held my attention throughout. This was my first online class. I was happy that the presentation of the information was very clear. I really enjoyed this course. This ability to study when I have the time to helps me so very much. I like being able to print out the material to I can refer back to it and have it at my disposal. Great course....well written and informative. I will be able to add this to my practice. Thankyou guys....again. Good basic start and key safety points for a beginner class in edema. Very thorough and informative. Can be very useful information! A good overview for someone, like me, who is interested in further training in MLD. I also found it helpful personally since I nderwent a mastectomy and lymph node removal last year. Thanks for a course that was well presented and informative. I feel that this course was an excellent review from years of past medical school, and yet I still learned something from the study and how things fit into my practice today. Thank you for the education. I enjoyed the study. The course was concise, clear, and full of valuable information. Overall excellent course. Charts were very helpfull. Very informative. New insight and better understanding for working with clients with edema. 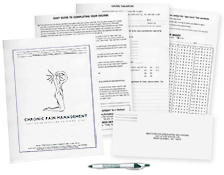 The information not only makes the knowledge and proper application of treatment clear, but also makes it more clear how massage therapists really need to understand that ignorance or not enough information in a particular area of practice can be counterproductive and even dangerous to a patient or client. A few days after I had read it and taken the practice test I went back and reread the material. The second time I got even more out of it. An excellent course. It encourages me to learn more. This is a very difficult study put in such a short course, I think. But it is good information. The summary chart was a great, straight-forward overview of treatment protocol. This is a great introductory course. It gives enough detail to add to the practitioners assessment skills and also creates interest in taking this as an extra modality. Very well put together and interesting, usable information. A great, much-needed review on the lymphatic system. Now, I feel more confident working with clients who have these special needs! This was an excellent review, as I have had some edema clients and will help in the future. Thank you. I liked this course. I will continue to look at your CEU's for my needs. It makes me want to learn more. Thank you so much! I will use this course outline again. The course was informative, easy to follow, and a great way to earn needed CEs! thank you! It was good review of the lymph system and reminder that it is important to be aware of contraindications. First ever CEU online course-good experience! Very easy to read and quiz had good questions. Good info, covered a lot of material in short course. Excellent course! In-depth information and exactly what I was looking for! Great information. Wish when I was going to school they would of had this as a mandatory class. Great Course. I learned a few things that will help in my hospice practice. Easy and convenient for needing credits quick. Content was presented in a way to fully understand and grasp the indications and contraindications for Edema. The course was great and very informative information and test. The course was very informative and easy to read. The test was clear and the questions interesting. I found it to be a great review for treating cancer-surviving clients. The material was easy to follow and very informative. Very thorough, offers excellent review of related A&P and etiology. I am always worried when ordering educational materials that they will be overrated in the magazines. This course was very straight forward and to the point. Very good information. Concise and easy to follow intro. It was an eye opener. Knowledge is very important and we as massage therapist need to gain as much as we can so we can be of real benefit to our clients. If we are not trained in certain techniques for certain populations we need to gain the training or hopefully refer the client to someone that is capable to meet their needs. I thought this course was a very good overview of material that is general to know when working on people with edema as well as informational to go further in depth if a therapist or client wanted to. This course is informative, interesting and well written. I have been taking your courses for over 10 years and enjoy reading and absorbing the information at my own pace. Thank you! Course was concise and useful. I've even taught massage and I learned a couple of new things! It was informative, easy to understand and very convienet.